It’s a celestial dynamic duo that hasn’t been seen in more than 30 years. On Sunday Sept. 27, most of North America, South America, and Africa will see a supermoon and blood moon at once. This phenomenon has only happened five times since 1900 and won’t happen again until 2033. Full moons are pretty common, occurring every month. But on Sunday, the full moon’s orbit will be closer to Earth, making it appear up to 14 percent larger. This increased size will make it a supermoon, an event that happens about four to six times a year. 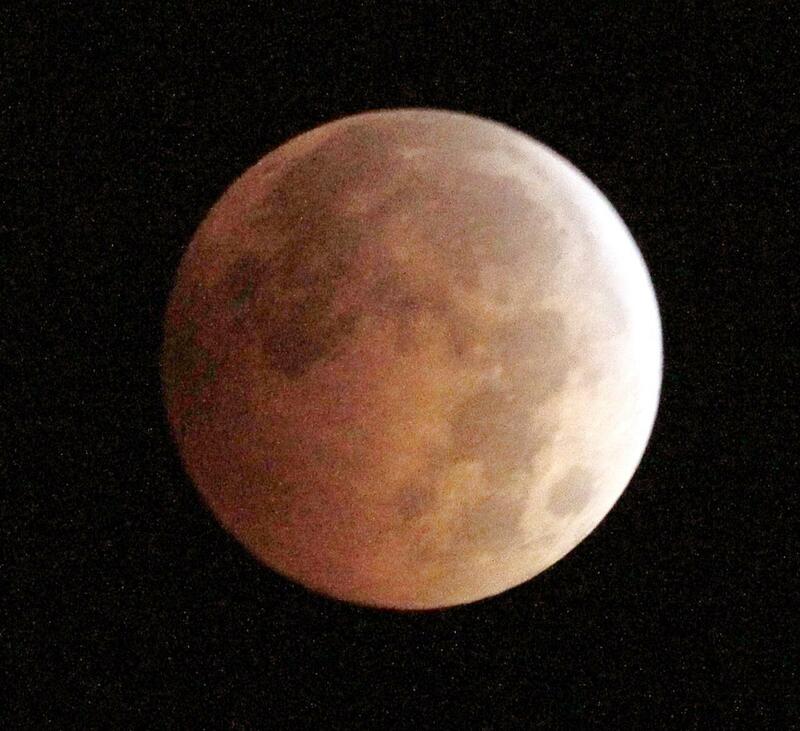 According to the Weather Channel, the moon will also pass through the Earth’s shadow, creating a lunar eclipse. During this eclipse, the sun’s light will have to travel through the Earth’s atmosphere before it reaches the moon. This will give the moon a red-orange tint, making it a blood moon. Related: Did You Miss the Blood Moon? Here’s a Sweet Time-Lapse Video of the Eclipse Over L.A. If you live on the West Coast of the U.S. or Canada, you will be able to see the supermoon and lunar eclipse beginning at 7:11 p.m. It might be a good idea to eat dinner outside, as the event will last about an hour and 12 minutes. On the East Coast, sky gazers will have to wait until 10:11 p.m. to see the spectacular event. And if you’re in Europe or Africa, you might need to chug a Red Bull to see the event. The full eclipse will peak at around 3:11 a.m. on Monday in London and about 4:11 a.m. in Cape Town. The last time a supermoon and blood moon occurred at the same time was in 1982. Similarly, the next time this will occur is in 2033. So if you skip it, you’ll have to catch the next one in 18 years.